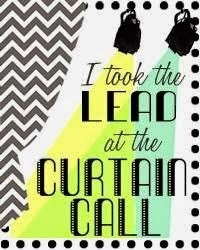 Thank you so much for joining us for the Curtain Call Inspiration Challenge - Charming! Congrats! 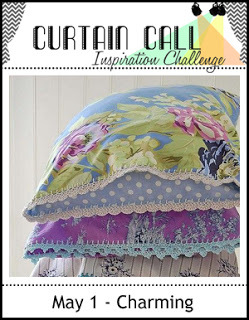 We invite you to be a guest designer in an upcoming challenge. 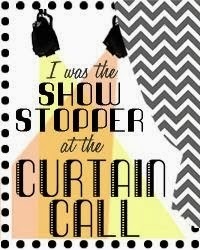 Please email Stacey at staceylynncrafts@gmail.com for the details! "Sonja's card us truly charming with all of the lovely white, the softly watercolored flowers and the diecut stitching." "I just love the soft pretty feel of Sonja's card. 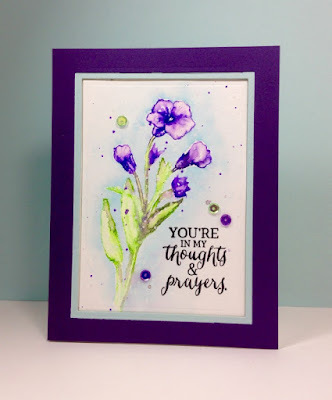 the white embossing is beautiful with the watercolored blooms." 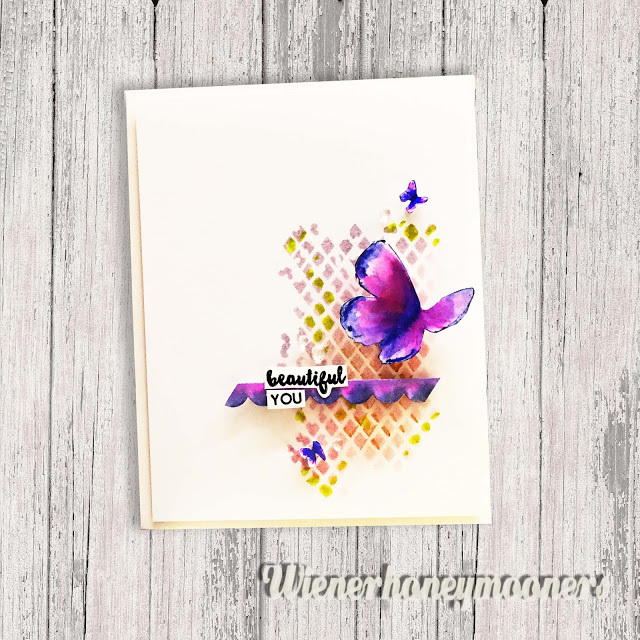 "Love Kimberly's bold, watercolour butterfly and lovely diamond background." "Love the deep rich purples on Maura's card." Thanks for the shout-out - makes my day!!! Congrats to Kimberly and Sonjak too! Ohh, thank you so much for giving my card the lead. So happy about it! And congrats to Maura and Kimberly as well. So pretty spring cards both of them.